The Global Youth Innovation Network Gambia Chapter (GYIN Gambia), in collaboration with key partners- The Youth Empowerment Project (YEP), The Building Resilience Against Food and Nutrition Insecurity in the Sahel (P2RS), Wuli and Sandu Development Agency (WASDA) and the National Youth Council (NYC) is inviting youth (aged 15-35) whose farming or businesses are located in rural areas to apply for the 3rd Edition of the Rural Youth Awards 2019 #GYINGambiaRYA2019. The award not only provides financial and non-financial support to deserving agribusiness players to grow their businesses but it also serves as an encouragement for them and others to stay in agriculture and to contribute to increasing food security and at the same time enjoy the benefits of running their own businesses. The 2019 award winners are to each receive a cash prize of D35,000; as well as six-month mentorship support by an experienced mentor and business expert. 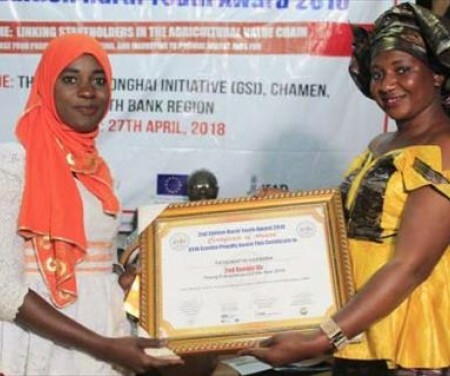 As part of the GYIN Gambia Rural Youth Awards 2019 initiative, GYIN Gambia plans to support the creation of ten rural youth enterprises, support 25 rural youth with business ideas/plans; hold a six-month mentorship programme on enterprise management, raise the incomes of 25 rural youth, organise national and regional exchange visits for 10 award winners and an entrepreneurship skills development training on livelihoods for 25 rural youth.